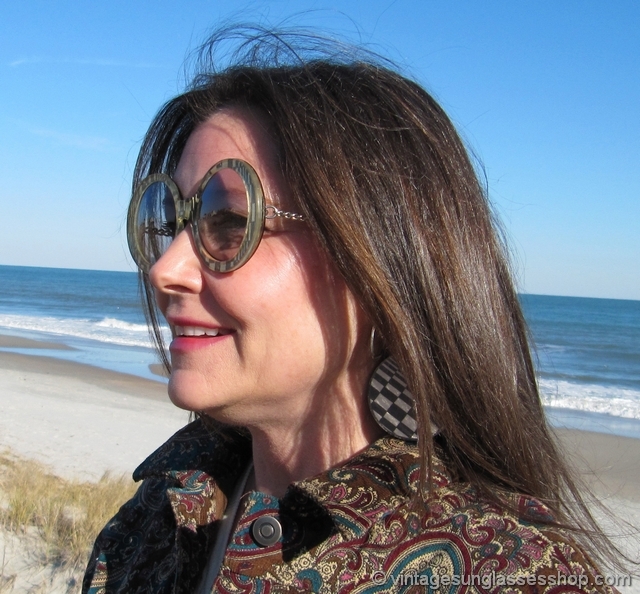 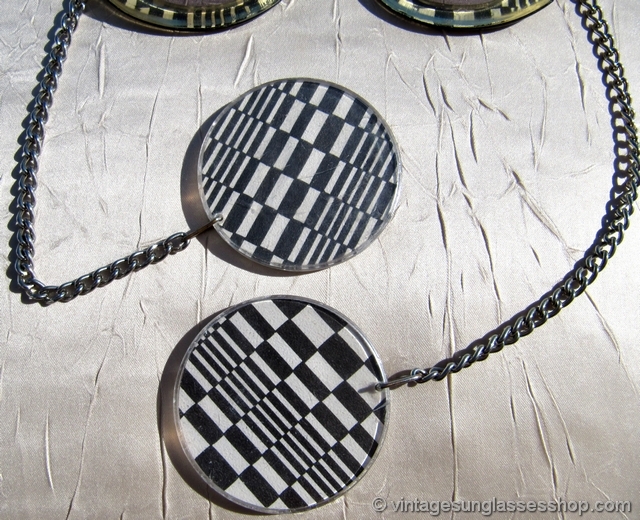 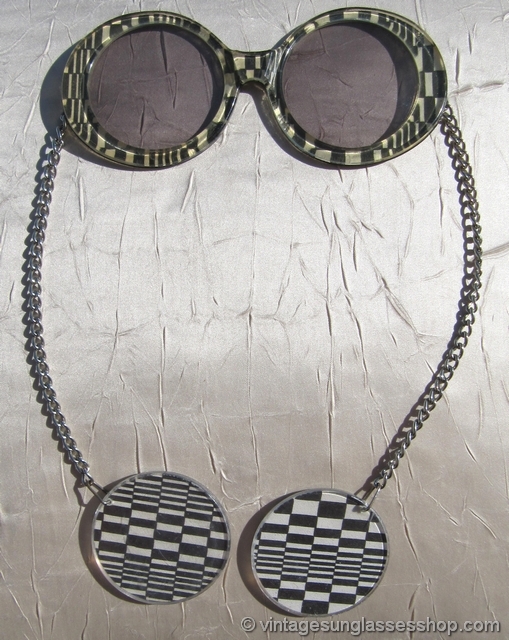 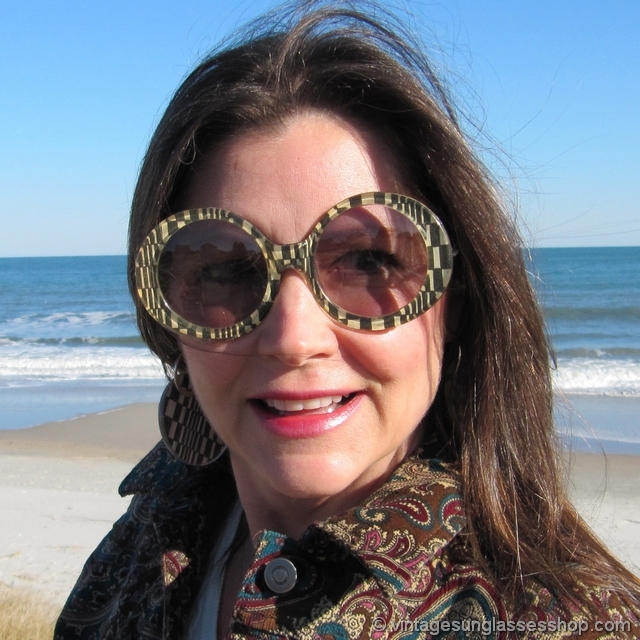 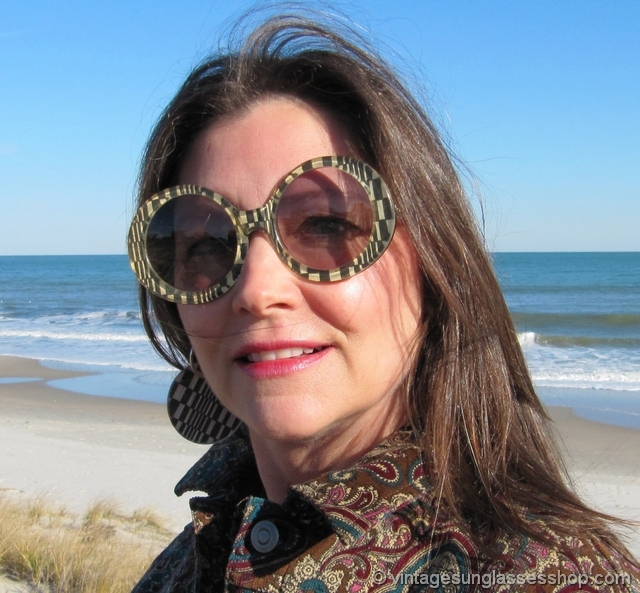 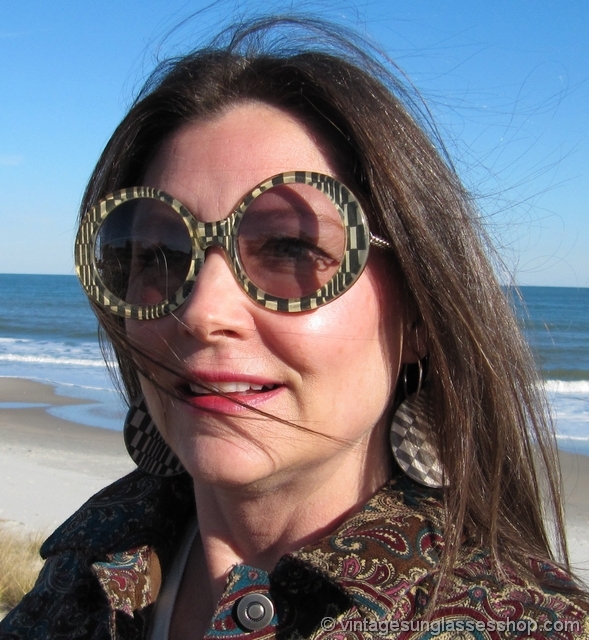 Direct from a Jacksonville, Florida estate, enjoy these unique 1960s hippie sunglasses with oversized round lenses in a geometric pattern frame coupled with twin chains and matching geometric dangle discs off each side. 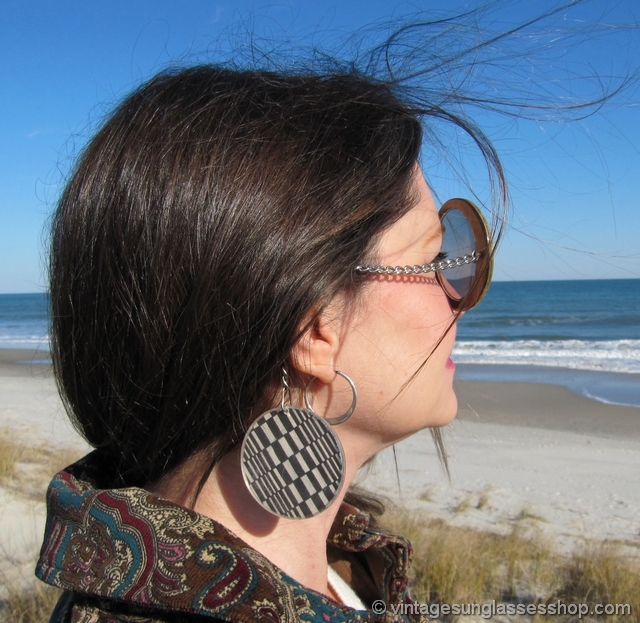 This is a look that's absolutely guaranteed to get noticed anywhere you wear them or return them for a full refund! 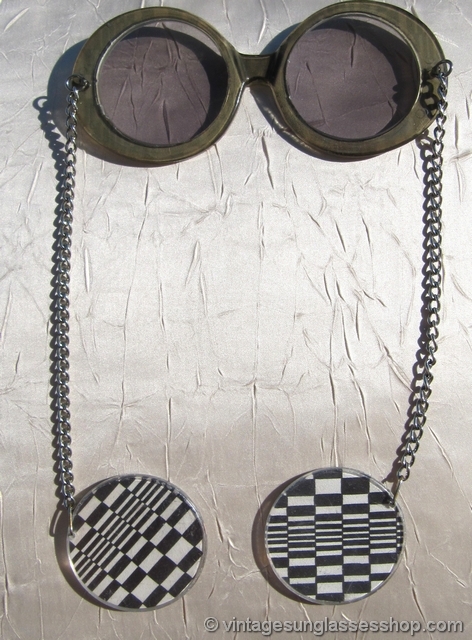 The flat front frame sits nicely on your nose, and the chains go over your ears to let the dangles hang below behind your ears. 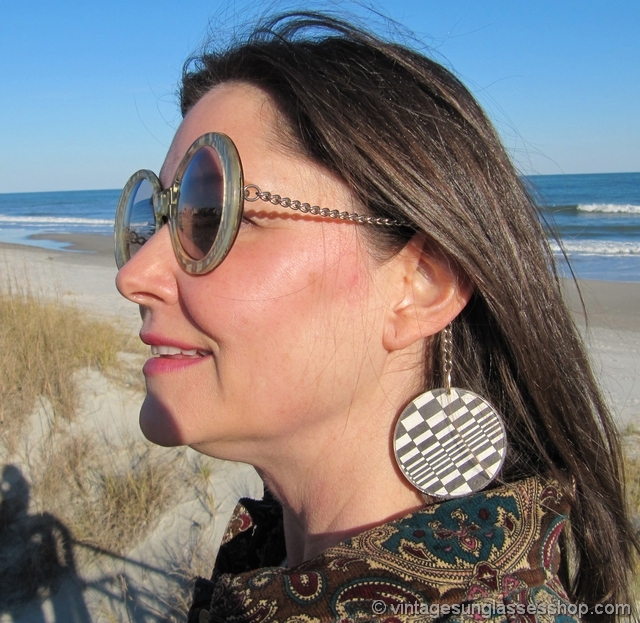 The dangles are light, but they provide sufficient weight to keep the sunglasses securely on your face. 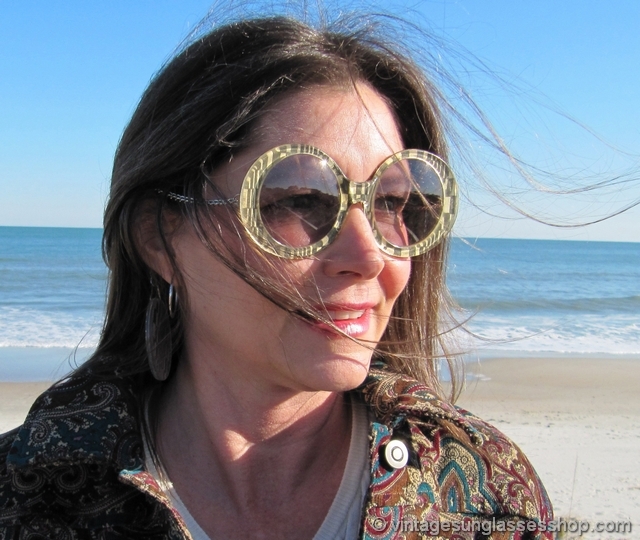 The front frame measures approximately 5.675" side to side, each round smokey brown lens measures approximately 1.875" in diameter, and the dangles which match the geometric pattern of the sunglasses measure approximately 2.0" in diameter. 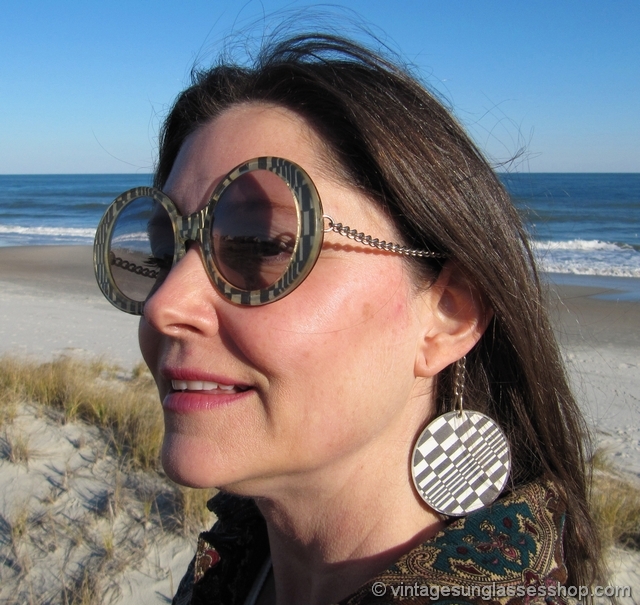 You'll be the talk of any party or have people following you around the shopping mall when you wear these very unique period 1960s hippie sunglasses.